Whereas all cryptocurrency markets tend to show bullish signs, few of them have effectively noted any real gains in BTC or ETH volume today. That is not necessarily uncommon, although it may effectively disrupt some traders’ expectations. The Holo price is a notable exception in this regard, as it is moving up across all markets in quick succession. A remarkable reversal after a very rough period. When all markets show bullish signs up to some degree, one has to wonder what the future will hold exactly. Bitcoin dictates the pace for all other offerings, which has been the case for quite some time now. However, this also means altcoins may effectively lose BTC value, which in turn negates some of their USD-based gains. That doesn’t apply to Holo today, as it is one of the few markets in the top 40 to effectively note steep BTC-based gains alongside its USD-based uptrend. To be more specific, the Holo price has risen by 15.19% to rise back to $0.001462. However, there are also gains in HOT/BTC – 11.36% – and HOT/ETH – 12.18% – which show this uptrend has some legs to it. 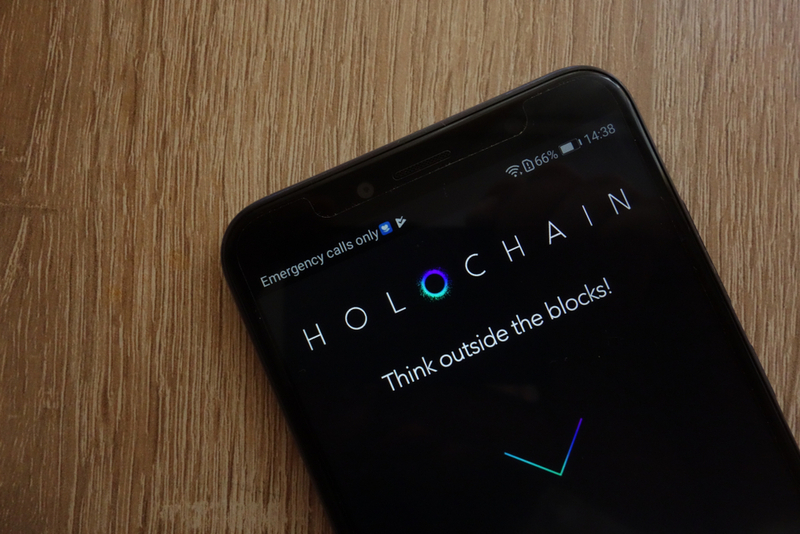 Although Holo has never had any impressive trading volume to begin with, it seems the $21.3m could be sufficient to keep this uptrend going for a few more hours. How high the price can go in the process, is a different matter altogether. There will be a glass ceiling at some point, albeit no one can accurately predict the top level at this time. Despite all of the positive Holo market momentum, there are those who refute this project and its future potential. Smart Investor is one of those people, as he expects AWS and Azure to simply clone Holo’s technology and gain even more market traction in the process. Since Holo has, according to this user, no patents to speak of, there is always a chance bigger companies will copy this technology and commercialize it in the process. Most traders and enthusiasts will keep a very close eye on the price chart in the hours to come. According to Tony Satoshi, the uptrend is in full effect and may continue for quite some time to come. In fact, this user expects the price to more than double in the weeks to come. That might be a bit too optimistic at this time, although nothing is impossible in the cryptocurrency world these days. A somewhat similar sentiment is echoed by Ilker Ates, who expects the Holo party to continue for quite some time to come. In fact, he expects a HOT/BTC all-time high to materialize fairly soon, followed by a new ATH for HOT/ETH. Optimism is a good thing in the cryptocurrency world, but one also has to keep their emotions and expectations in check first and foremost. The year 2019 will not necessarily yield any all-time highs to speak of, although there are still seven and a half months to go. All things considered, Holo is one of the more impressive markets in the cryptocurrency industry as of right now. Whether or not it can sustain its gains or even improve upon the current levels, is a different matter altogether. As long as Bitcoin continues its uptrend, there is nothing to be overly concerned about just yet, but the world’s leading cryptocurrency is known to be fickle more often than not.